Cherry Wood Veneer available in 2' x 8' sheets with a plain 10 mil paper backer or PSA (pressure sensitive adhesive), peel and stick backer. Also 4' x 8' sheets in a plain paper backer. Cherry Veneer Sheets available in 2' x 8' sheets with a plain 10 mil paper backer or PSA (pressure sensitive adhesive), peel and stick backer. Also 4' x 8' sheets in a plain paper backer. Available in plain sliced (flat cut) and quartered. Wood Veneer, Cherry, Flat Cut, 2 x 8, 10 mil Paper Backer. This Cherry, Flat Cut Premium Wood Veneer is suitable for fine woodwork, furniture, and cabinets. It can be applied with contact adhesive. Wood Veneer, Cherry, Flat Cut, 4 x 8, 10 Mil Paper Backer. This Cherry, Flat Cut Premium Wood Veneer is suitable for fine woodwork, furniture, and cabinets. It can be applied with contact adhesive. Wood Veneer, Cherry, Quartered, 4 x 8, 10 mil Paper Backer. 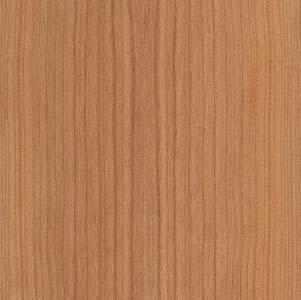 This Cherry, Quartered Premium Wood Veneer is suitable for fine woodwork, furniture, and cabinets. It can be applied with contact adhesive. Wood Veneer, Cherry, Quartered, 2 x 8, 10 mil Paper Backer. 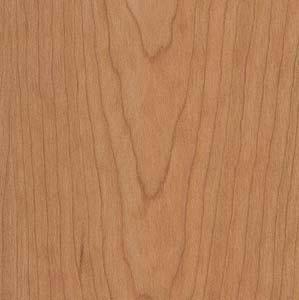 This Cherry, Quartered Premium Wood Veneer is suitable for fine woodwork, furniture, and cabinets. It can be applied with contact adhesive. What is the most used item in your kitchen? Copyright © 1999-2019 OVIS division of WIM Corp.